Chrome postcard, with scalloped edge, continental size. S-277-C. Mirro-Krome card by H S Crocker Co. Pub by Silberne Souvenir Sales Inc. Photo by Al Orsini. 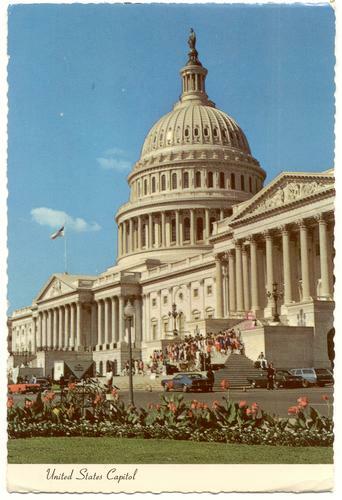 Posted 1977 from Washington. Space Shuttle cancel mark. Minor corner and edge wear. Creasing at lower right corner tip.